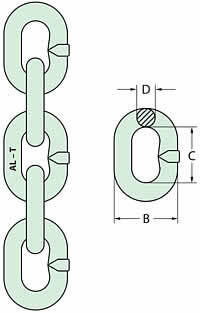 ​Grade 100 chain is made in Germany, generally used for Chain Slings with 25% higher lifting capacity than G80. Manufactured from hardened and tempered alloy steels and has a high resistance to impact and wear to meet critical requirements of AS 2321 “Short Link Chain for lifting purposes”. Chain links are formed from German Wafos link machine technology to produce its high quality of lightweight strength, durability and safety of lifting chain applications. SD Type G100 Head-Rings are designed to cater for single leg and double leg Chain Slings or Wire Rope Sling applications. Manufactured and tested in accordance to AS 3776 but with 25% higher work load limit. 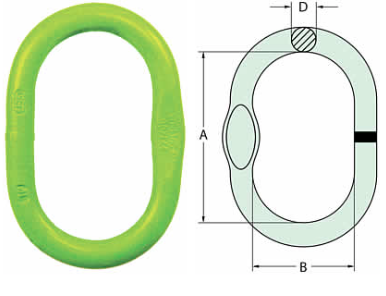 MD Type G100 Multi Head Rings are designed with a large ring and two intermediate links to cater for two, three and four leg Chain Sling or Wire Rope Sling applications. Marked with chain size, grade and Austlift branded. Made from G100 alloy steel with a safety factor of 4 to 1. 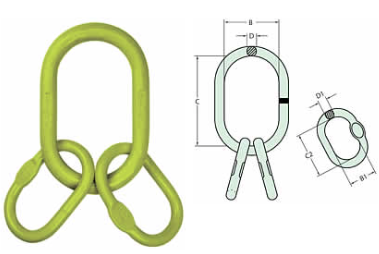 GC Type G100 Clevis Grab Hooks provide the fl exibility to shorten chain leg on a sling may also be used for back-hooking. 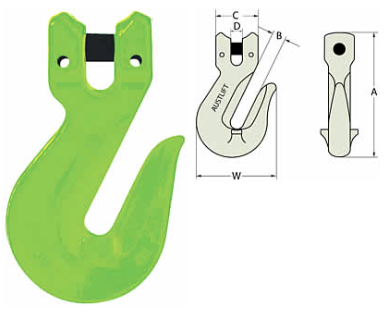 Grab Hooks come with supporting lugs to allow no reduction of the working load limit. 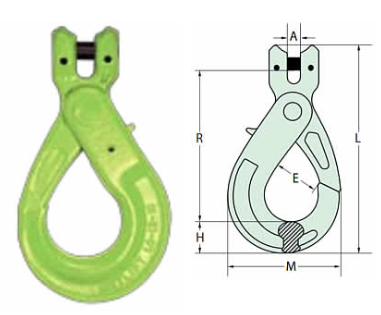 The clevis is designed for ease of connection of chain. Marked with chain size, designation, grade with manufacture quality mark and Austlift branded. GE Type G100 Eye Grab Hook provide the fl exibility to shorten chain leg on a sling may also be used for back-hooking. 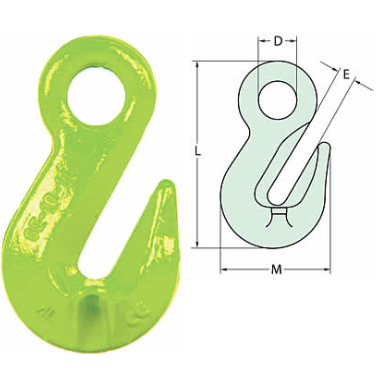 Grab Hooks come with supporting lugs to allow no reduction of the working load limit. The eye is designed for ease of connection of coup-link. LC Type G100 Clevis Self-Locking Hook allows the hook to be easily closed with one hand, it will close itself when the load is engaged. The Hook will not open until the trigger at the back is pressed. 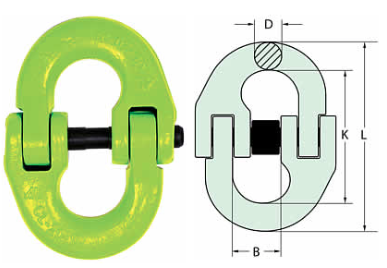 Clevis style allows easy connection to the Chain. Manufactured from G100 alloy steel with a safety factor of 4 to 1. LE Type G100 Eye Self-Locking Hook allows the hook to be easily closed with one hand, it will close itself when the load is engaged. The Hook will not open until the trigger at the back is pressed. Eye style allows easy connection to Coup Links, Shackles and Wire. LS Type G100 Swivel Self-locking Hooks have a plain bearing swivel to allow the hook to swivel thus reducing the twist of a sling. 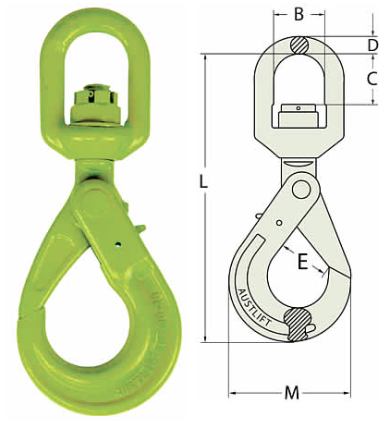 Austlift SC Type G100 Clevis Sling Hook are a general purpose hook suitable for most slinging applications and comes with a cast latch for added safety. 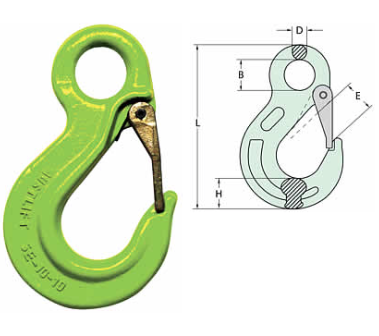 Clevis allows easy connection to chain. 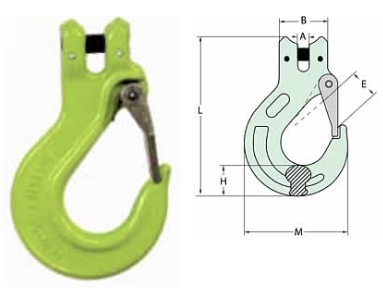 SE Type G100 Eye Sling Hooks are a general purpose hook suitable for most slinging applications and come with a cast latch for added safety. Eye allows easy connection to coup links and can be attached to lifting apparatus.